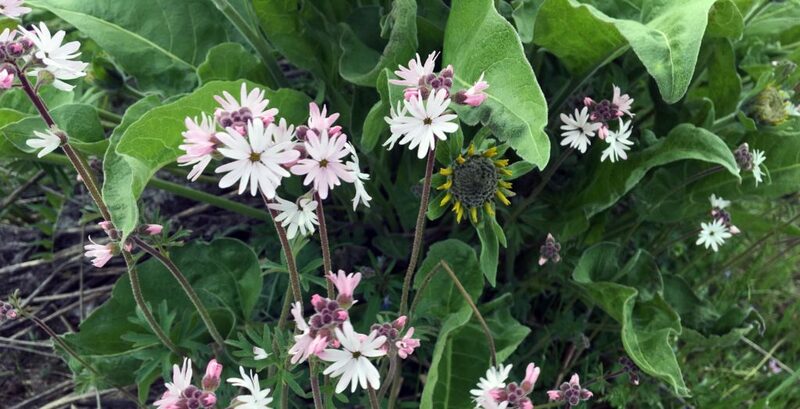 An impressive wildflower hike that gives you a huge show without much hiking effort. It’s a little late this season, but the wildflowers are finally blooming! They bloom for such a short period of time that you need to move fast, so we headed out to the Columbia River Gorge last weekend to catch the first of the balsamroots, which are my favorite. Balsam are big, bright yellow flowers that look like mini sunflowers. They bloom in clusters all over the eastern gorge and I just love them. Thanks to some tips from my Dad and my Aunt, we headed out to a little hike just east of Mosier at the Memaloose Overlook. 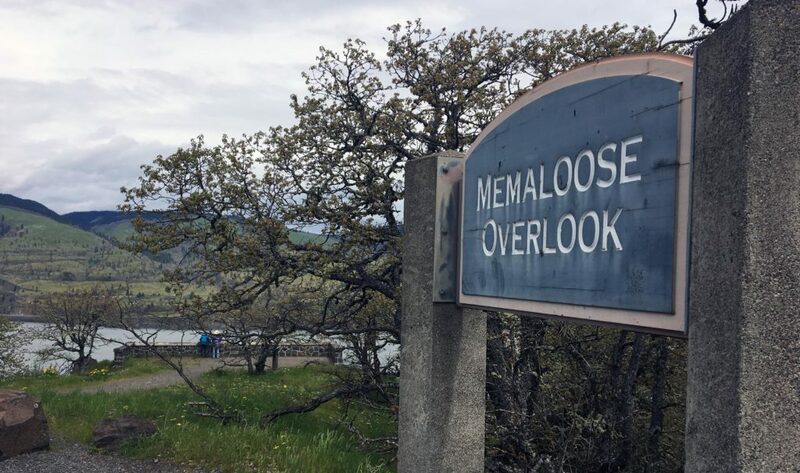 At first glance this just looks like a viewpoint of the Memaloose State Park down below, but if you cross the road, you’ll find a well-used trail into the hills. It is short and easy, just 3.5 miles round trip, taking you to the top of two breathtaking hills. The first mile leads you along a small creek into the valley between two big hills. Eventually you will get to a “y” in the trail. We headed left first, but it does not matter, take either one. 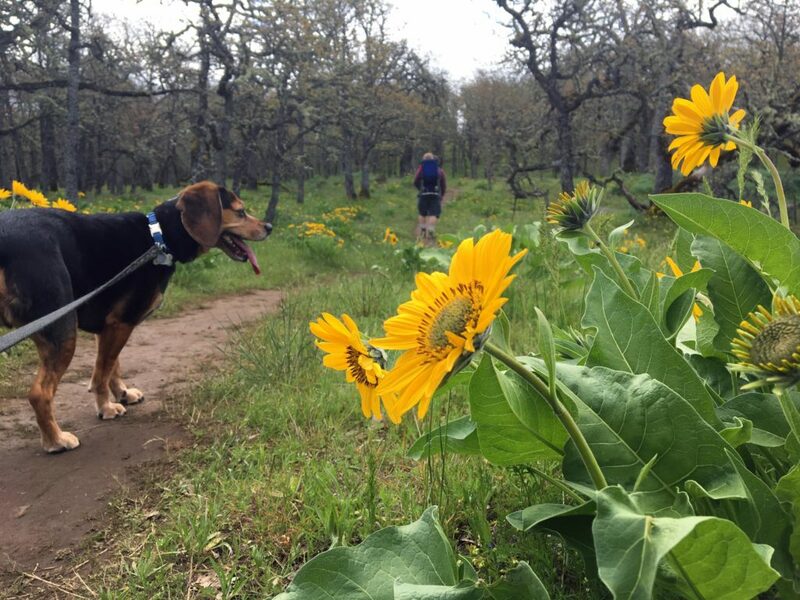 If you are there at the right time, the hills will be carpeted with flowers and accompanied by stunning views of the Columbia River and surrounding farm lands. 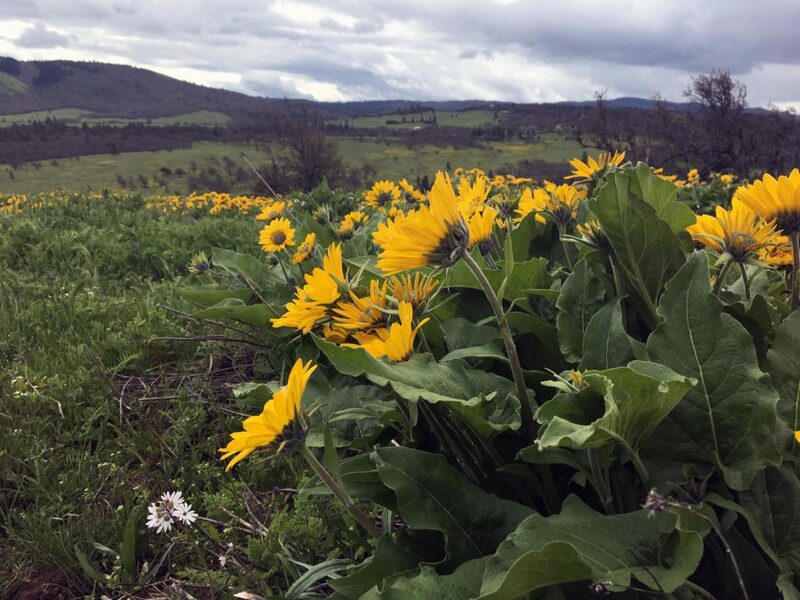 We saw lots of wildflowers, lots of balsamroot and a few paintbrush. The lupine looked like it was on the verge of blooming, but we did not see any the way we were there. After taking in the view and snapping a zillion photos, head back down the trail to the junction to explore the next hill. One note: All the guides I’ve read about this hike, say it has a high population of rattle snakes. I was on edge the entire time we were there, because I’m terrified of rattlesnakes, but we never saw any. It was probably too cold, but if you are there on a warm day, it’s something to keep in mind. 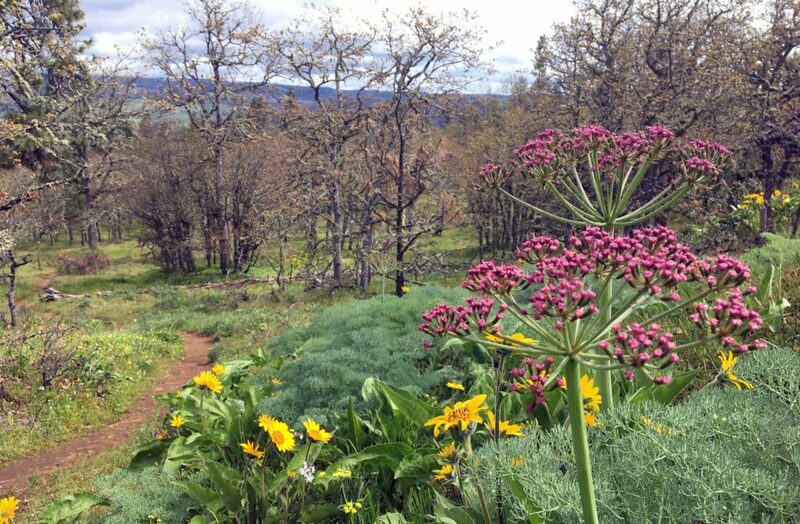 Bottom line: this is a fantastic wildflower hike. A huge payoff with not much effort. We did it with a 30-pound toddler in our pack had it still only took us a couple hours. 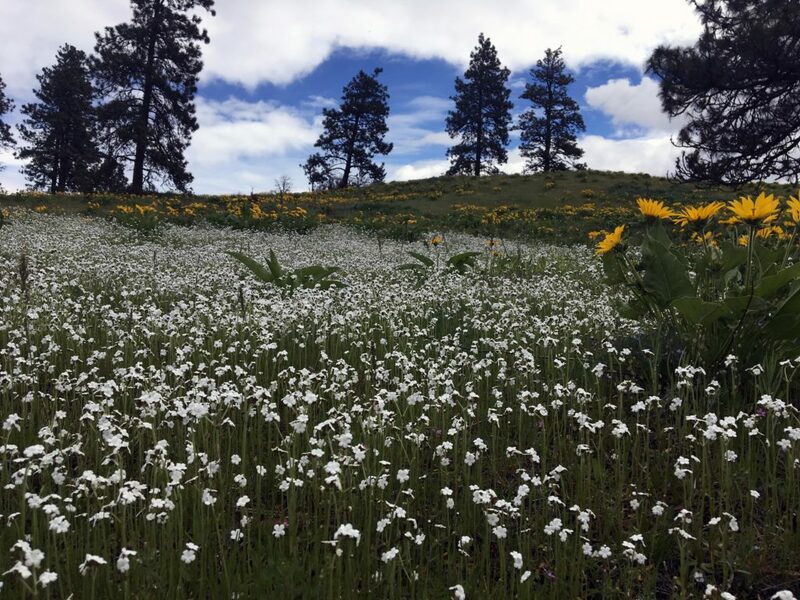 Late April and early May is the prime season for this hike, so get out there before the wildflowers fade. Happy trails!